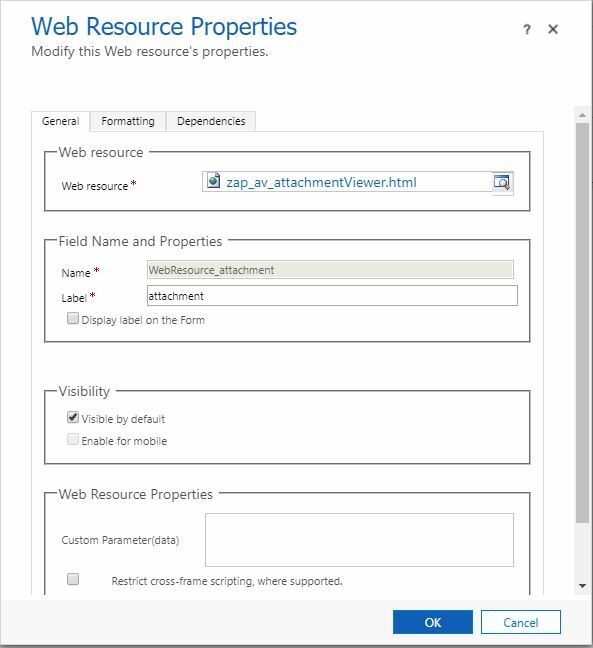 /Zap Attachment Viewer /Getting Started – How to add Zap Attachment Viewer web resource to entity form? When you import Attachment Viewer App, the attachment viewer section will automatically get added to case, lead, account, contact and opportunity out-of-box forms. (You can delete the Attachments section from the form if not needed).